Fabulous sunshine, but our bees need more than sun to thrive. In the news again this month, the Scottish Wildlife Trust, backed by the Scottish Government, have called for more of us to plant ‘bee friendly’ flowers. Scotland’s bee population has fallen by 60% over the last 50 years, a worrying decline, so they particularly want to encourage the use of window boxes to try to help bee populations. Can you do your little bit with a beautiful window box or planter full of nectar rich flowers to help create a ‘nectar network’? 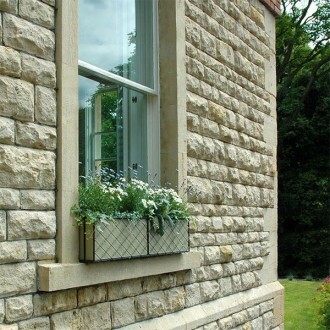 Our window boxes can be made to different sizes to fit any window or any bare wall. Contact us for more details: 01225 851577.